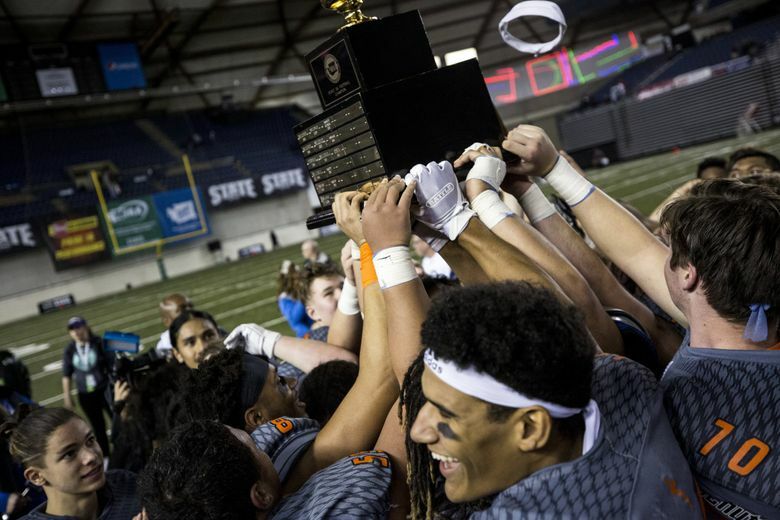 The Crusaders, who won in 2014 and 2015, claimed a 31-13 win over the Fighting Irish after jumping out to an early lead and cruising to a championship. 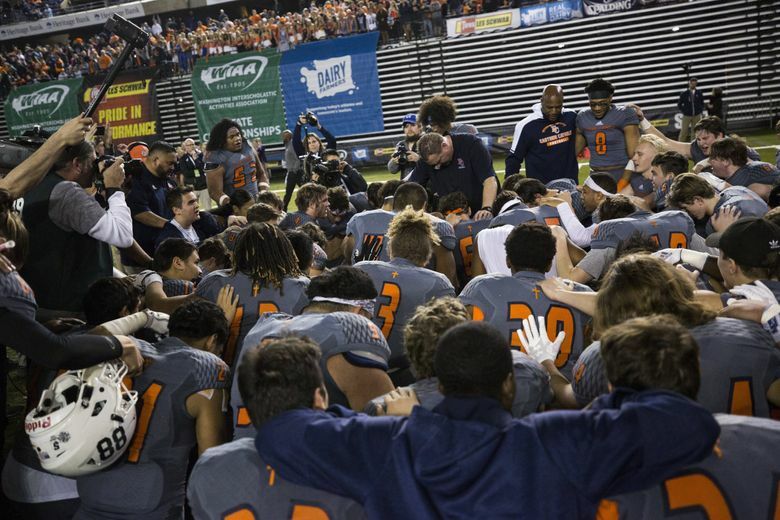 TACOMA — Eastside Catholic fans draped themselves in orange T-shirts with the words, “We’re Back” in bold print to mark their return to the Class 3A state football championship game. 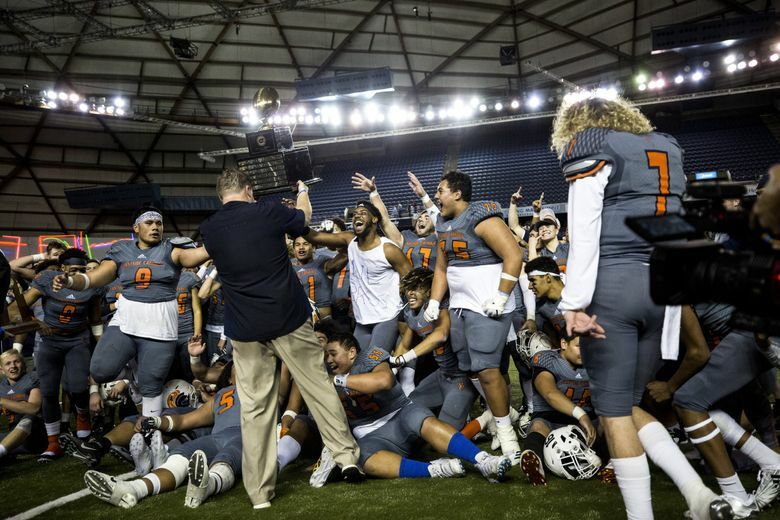 In their first return to the Tacoma Dome since winning in 2015, the Crusaders were again victorious, defeating O’Dea 31-13 on Friday night for the state title. 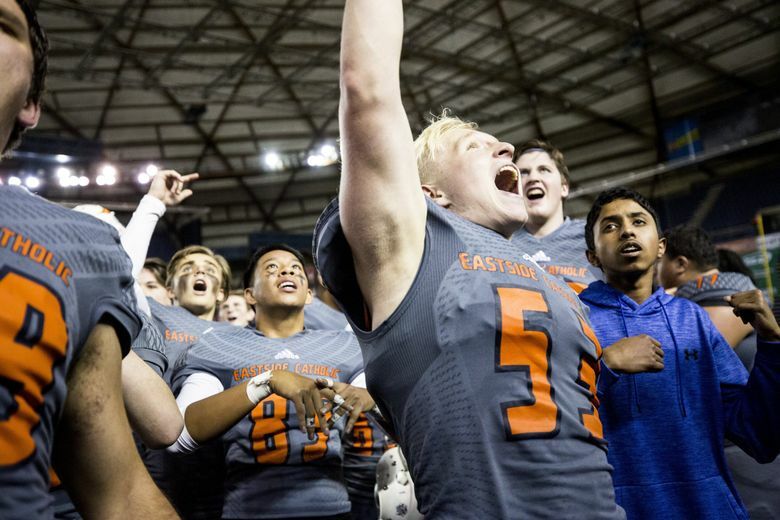 It’s Eastside’s third football championship, also winning in 2014. 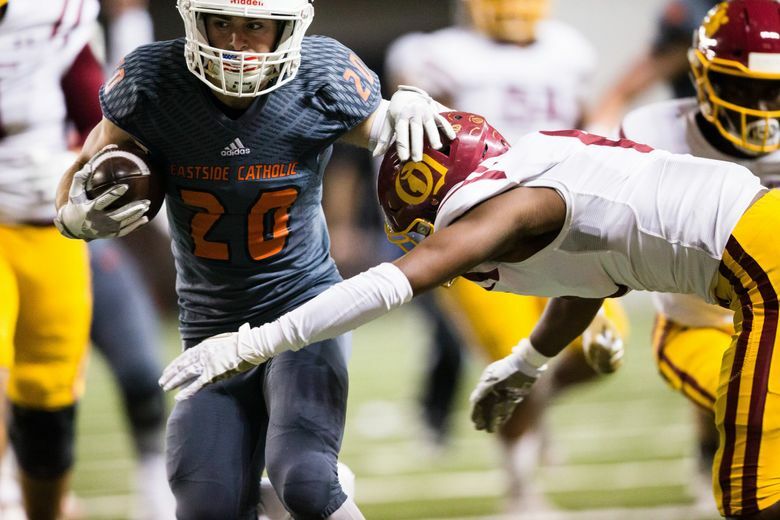 Eastside Catholic junior Gio Ursino ensured the win with a 30-yard touchdown run with 2:47 remaining. 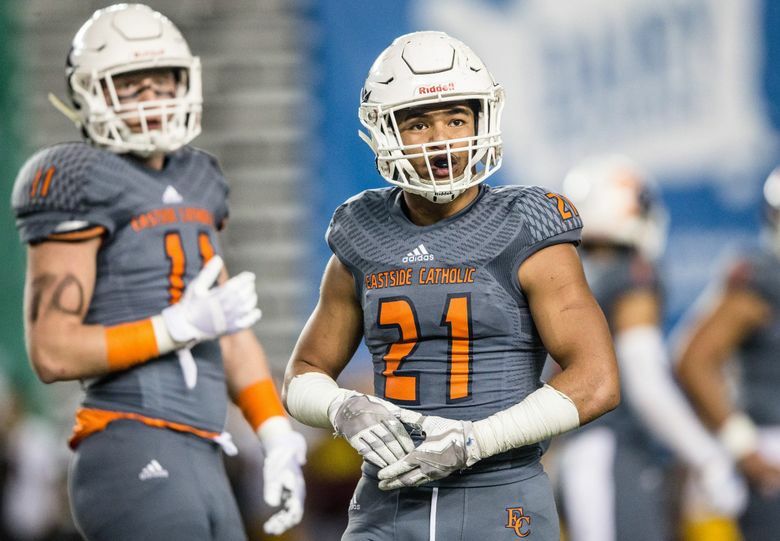 The Crusaders defense forced the Fighting Irish to turn the ball over on downs in its final trip into the red zone with 1:06 left to start the celebration. O’Dea’s bad start to the second half opened the door for Eastside to take control. The Fighting Irish started on its own 6-yard line and was called for a false start. O’Dea followed with short rushes and an incomplete pass, punting on fourth down. Adams waited the punt. 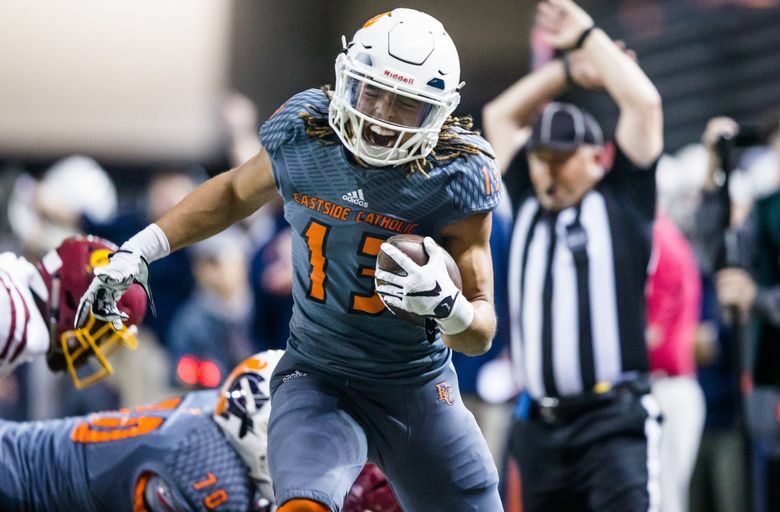 He bobbled the catch on the 39-yard punt, quickly recovered and returned it 48 yards for a touchdown to put Eastside up 24-7 with 10:02 left in the third quarter. The Irish found the end zone in the fourth quarter. A pass interference call against Adams put the Irish in the red zone. Senior Mark Tafia muscled in the 5-yard score with 5:16 left in the game to close within 24-13. 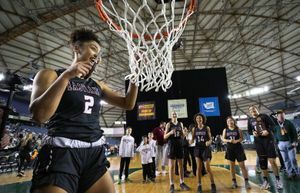 O’Dea (12-2) made its third consecutive trip to the Class 3A state championship game. 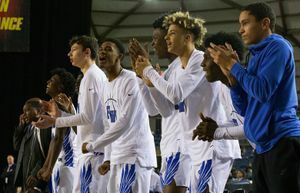 It won the title last season against Rainier Beach and lost in overtime to Kamiakin in 2016. Friday’s loss was the Irish’s second of the season against the Crusaders. 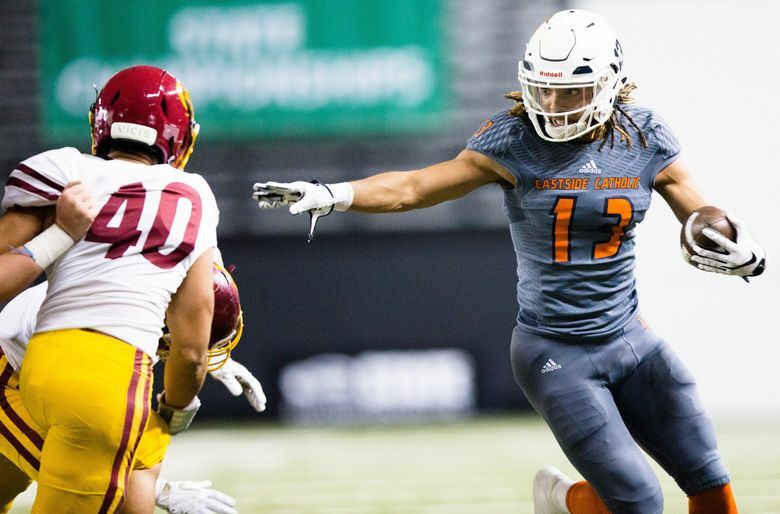 The Metro League rivals faced each other in an October rainstorm in West Seattle, Eastside winning 31-13. 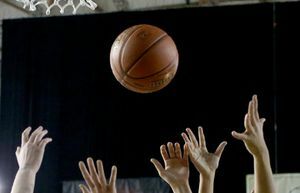 “We were ready to play today,” Eastside coach Jeremey Thielbahr said. 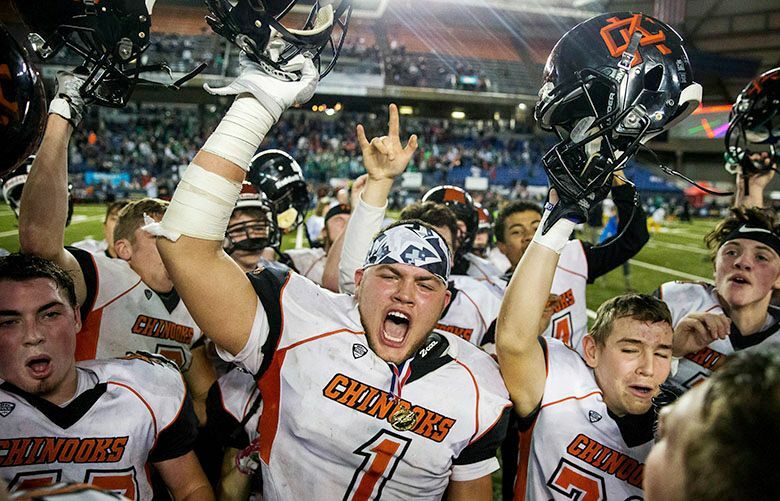 “O’Dea did some things to counter us, but, to be frank, we wore them down late in the third quarter. What normally O’Dea does to other people, we did to them. 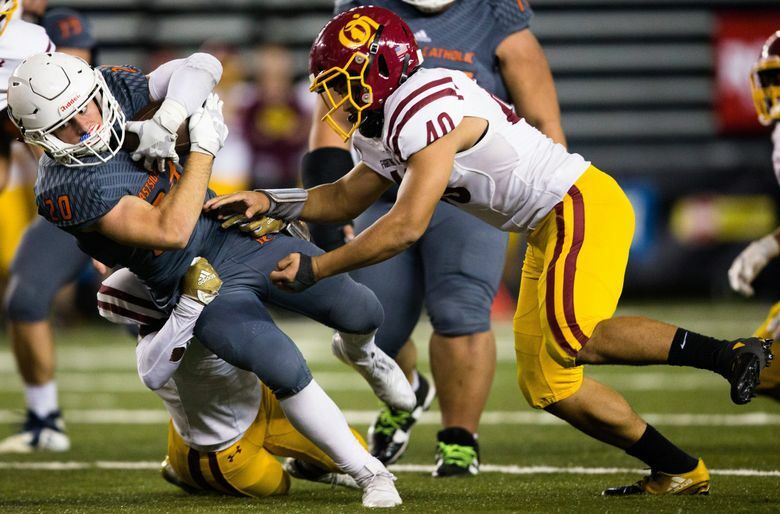 O’Dea’s defensive line was nearly impenetrable to start the first quarter. 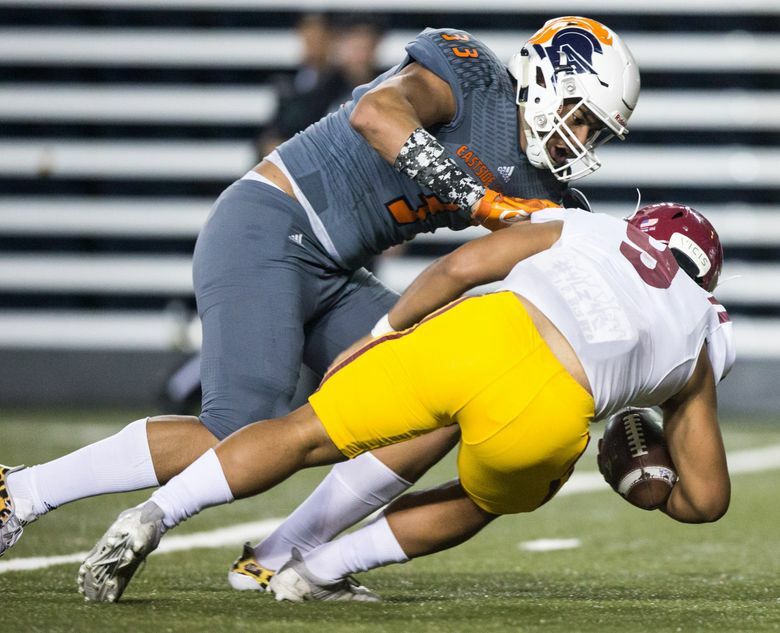 Eastside had an 11-play, 55-yard opening drive that resulted in a 22-yard field goal because of big stops by Irish junior Jalen Dixon and sophomore Styles Siva-tu’u against Adams. 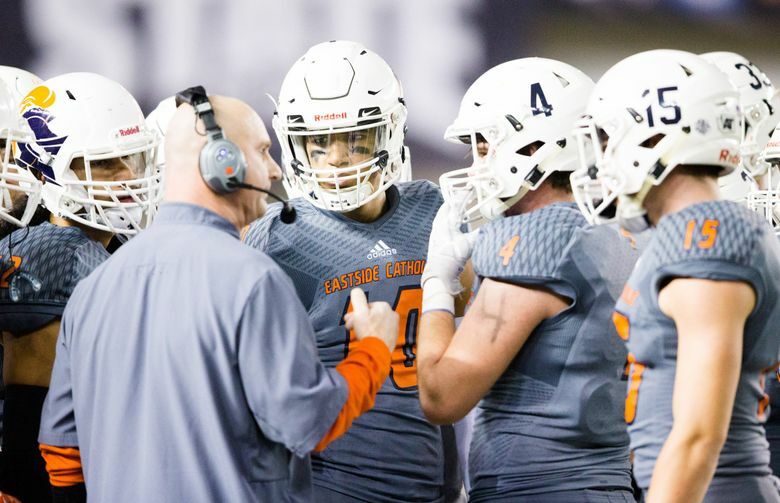 Eastside handed the ball off to Adams 18 times and the four-star recruit gained just 50 yards before the break. The constant push helped Ursino finish with 93 rushing yards on 11 carries, scoring two touchdowns. 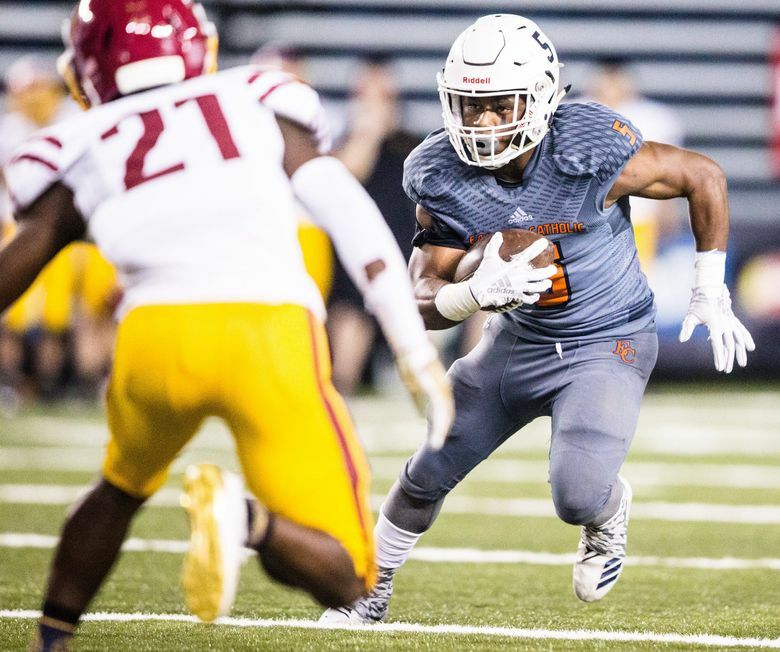 Adams had an interception against O’Dea quarterback Emonte Scott with 4:39 left in the first quarter to help set up an eventual 15-yard touchdown run by junior Ursino. The score put Eastside up 10-0 with 43 seconds left in the quarter. O’Dea got on the board with a 24-yard pass from Scott to Andre Davis. The latter was open behind the Crusaders’ defense, making the play in the right corner of the end zone. It cut the deficit to 10-7 with 8:04 left in the opening half. 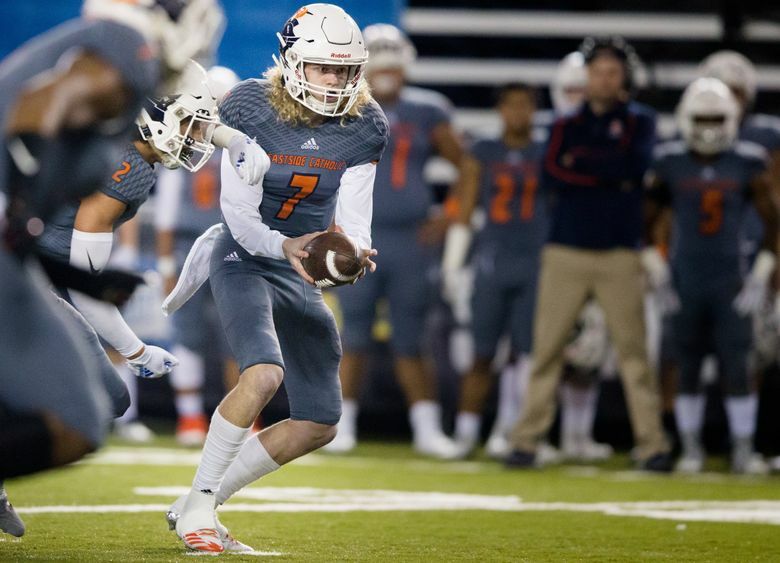 The Fighting Irish were able to force the Crusaders to punt on its ensuing offensive possession. But after returning the favor, Eastside took a 17-7 lead into halftime after a 3-yard scoring run by Gee Scott Jr.